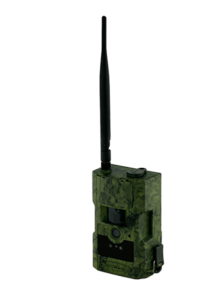 The HCO Scoutguard 580 MB is one of the cellular trail cameras available in the market today. Like other cellular cameras, this camera has the ability to send photos to your phones through text and email. After 30 seconds to a minute after it takes a photo, you will already be able to it even if you are away from your area. This technology is highly beneficial, especially for security purposes. You will be able to keep track of what is happening in your premises even if you are not there physically. If there is anything suspicious, you can immediately report it to the authorities and show the photo as evidence. However, this technology is not perfect yet. It may be a little difficult to set-up considering that you have to activate the cellular network in order to successfully transmit photos from the camera to your phone. It is a little bit of a hassle as you need to personally go to the SIM card store like AT&T in order to have it activated. Reception may also be a problem, depending on the strength of the signal on where you are staying. This is just a few setbacks though. Once you are up and running, you will already enjoy the convenience of not having to go to the camera to check and view the photos. You will surely save time, fuel, and energy. The HCO Scoutguard 580 can also be set-up to send photos to multiple phones. If you are in a group, then you can share the photos with your peers and colleagues. You may just have to split the cost among the other members. The case is shiny, which could possibly draw attention to it. Easily remedied with a little camouflaging. (Which should probably be done anyway). Because the technology is still developing, you can expect a few glitches. For example, you should know that the photos sent to you may not be as high quality as the one that is stored in the SD card. However, this camera still has a lot of cutting edge features to offer. Pictures can be sent anywhere on the globe. All in all, the HCO Scoutguard 580 MB is an excellent option for you especially if you are concerned with security. If security isn’t your main concern, there are many other trail camera options.